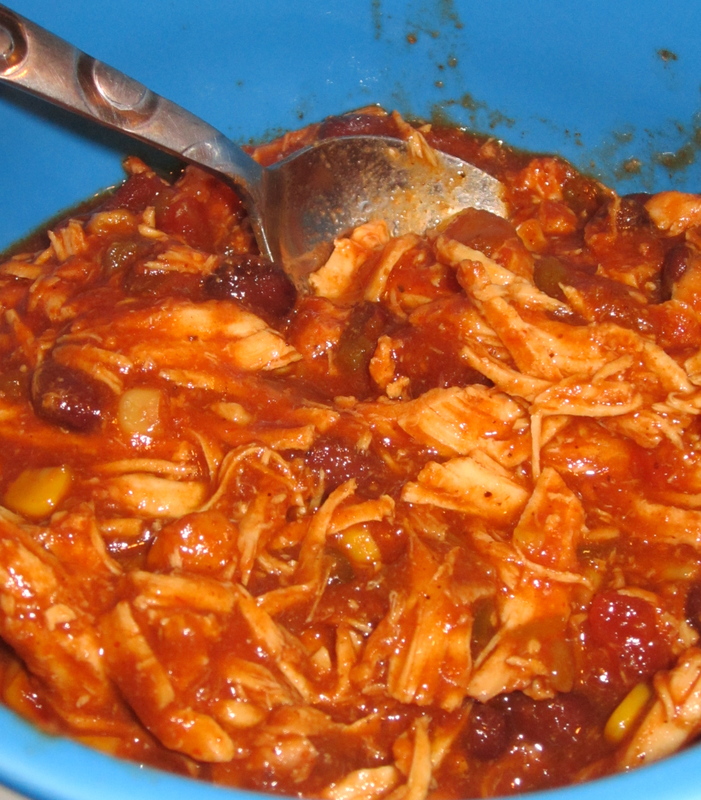 This is a delicious crockpot chili recipe that’s highly recommended for lazy football Sunday. Now that football is in full swing, I’m pretty sure every sunday is a lazy football Sunday. We loved the way this chili turned out, it’s a nice spin off the traditional beef chili that I usually make. 1. Combine beans, onion, chili peppers, corn, tomato sauce, cumin, chili powder, red pepper, and taco seasoning in a slow cooker. 2. Place chicken on top and cover. Cook on low for 10 hours or on high for 6 hours. 3. Half hour before serving, remove chicken and shred. Return chicken to slow cooker and stir in. Top with fresh cilantro. Add ow fat cheese and sour cream.